What can I say. Second in Poland Sitecore Meetup is a fact. If you work with Sitecore and you are in Poland you should be on 19 August in Wrocław. If Wrocław is too far for you you should join to our communication channels because event will be transmitted online. The basics of Sitecore PowerShell – where it can be useful and how to best utilize it in your day-to-day workflow. The audience will learn how to work with items and Sitecore API as well as how to build rich user interfaces with just a few lines of code and no server restarts. We will also see how to debug those easily and provide extensible Web APIs easily. Adam’s background is in the Customer Experience Management (CEM/CMS/ECM) space, he worked with SharePoint and EPiServer as well as some bespoke CMS-es but now his focus is within the Sitecore space. He is a Developer (at heart) who heads up the .Net Practice at Cognifide. During his years in the industry he’s gathered substantial experience in a variety of frameworks besides Microsoft .Net, he’s tinkered with and hacked at Delphi, Java and a wide range of DBMS (Microsoft SQL Server, Oracle, Informix to name a few). 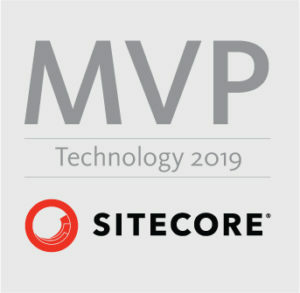 Sitecore MVP since 2011. Radoslaw will talk about: Unicorn – synchronize easily. Using Unicorn to synchronize Sitecore databases and resolve item deployment problems. Passionate Sitecore & .NET developer and designer with a lot of professional Sitecore development experience. Worked with Sitecore since beginning of 2013, as a developer and afterwards, team lead developer. Sitecore community contributor, sharing his work, such as modules and packages, and his knowledge – with blog and community forum. Wojciech will talk about: Sitecore Habitat – make it smarter. Very energetic person, passionate of new technologies, Sitecore & .NET developer in Coders.Center. Wojtek started his journey with Sitecore in 2014. Since this time he was working on many international projects based on Sitecore with different approaches. I hope that we will be there together! 20 may 2016 will go down in history as day of first in Poland Sitecore meetup. I have a pleasure to be an organizer of this event. In cooperation with our sponsors (Coders.Center & Sitecore) we are trying to build community of Sitecore users in Poland.